Every trip must come to an end, and ours ended quite dismally (through nobody’s fault but our own). But this was also the time that Singapore Airlines‘ service really outshone all others we’ve flown recently. You see, spending 10 days in Singapore and Hong Kong, we ate a LOT of Asian food. As much as we love Asian food, we were all dim-summed out. Er yes, the antithesis of everything else we ate the past 10 days. 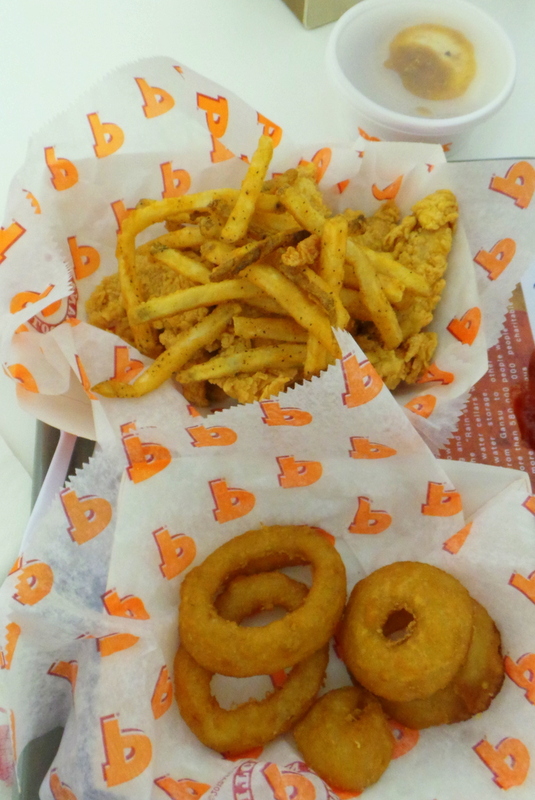 Popeyes is a fast food chain that serves deep fried cajun / Southern stuff like breaded fried chicken, biscuits, gravy and onion rings. We should have known better than to do this. In no time, Zombie was doubled over in gastric pain. Zombie has the most sensitive stomach. We both have our health downfalls when travelling — I have my whacked respiratory system (but I’ve a stomach of steel!) and Zombie has his very sensitive stomach (yet could withstand extreme cold and has great immune system). It was going to a long evening, we just hoped that the flight back will be as smooth given the situation. As we were waiting to board, with Zombie curled up next to me silently in pain, I watched the crew enter the aircraft. They were in good spirits, chattering excitedly to each other. It’s hard to explain but they radiated a positive aura. This lifted me up a bit. As a former cabin crew, I know that every flight has a certain crew group chemistry. You are usually randomly paired and there are certain flights when everyone got along well, and this radiated in your service. I felt that when I saw the crew of SQ 871. Bulk Head seat once more! 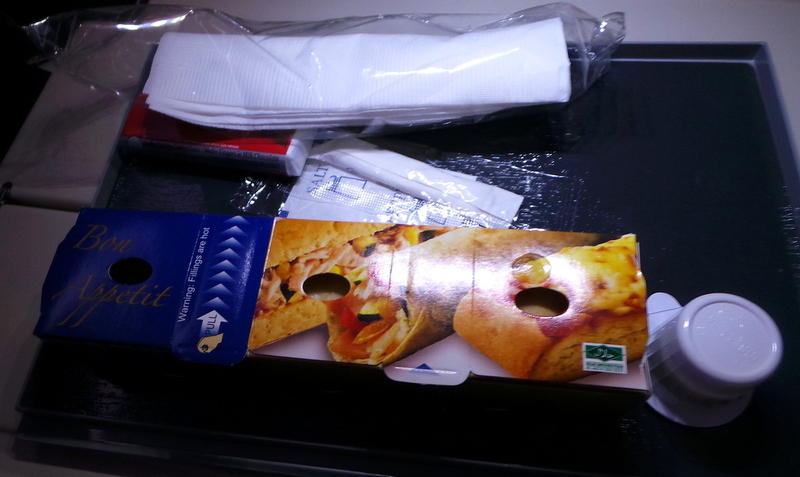 And this is what I love about Singapore Airlines – the service is consistent from ground to air. 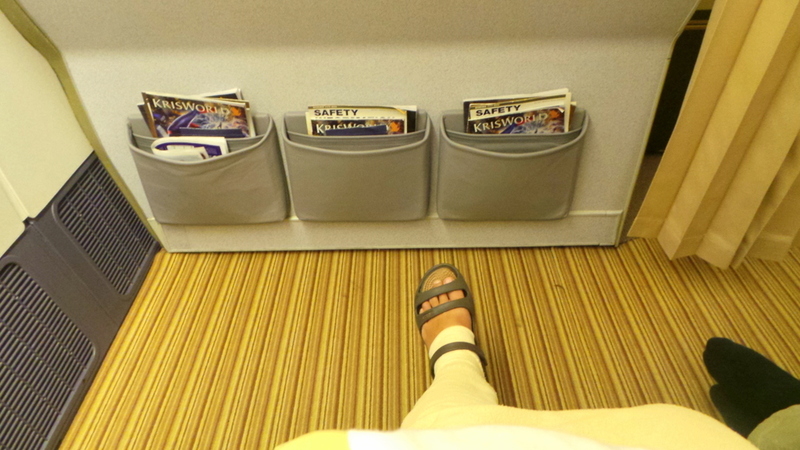 When my accident happened, I immediately informed Singapore Airlines and in all 4 flights, they ensured I was assigned a bulkhead or an aisle seat (where the left leg can be free). There was no need to repeat this request at the check-in desk. After take off, one of the flight attendants on our zone immediately noticed that Zombie didn’t look very comfortable. Take note that we didn’t call their attention or help. She asked if he was ok, and when Zombie told her what was going on, she immediately went to the galley and bought out a box of antacid chews, and thoroughly explained how to take it. She must have informed the entire crew in the zone because an hour later, a different crew (later I am to find out she was the Chief Stewardess) came up to us and said that she found a row of seats free so that Zombie could lie down. Again, we didn’t request this at all nor did we call for more attention or help after the first crew gave the box of antacid chews. We of course took the offer. Zombie left and I stayed in my seat. Then the same cabin crew approached me and asked me to come along because she found 2 rows of 3 seats each, next to each other. My poor Zombie . 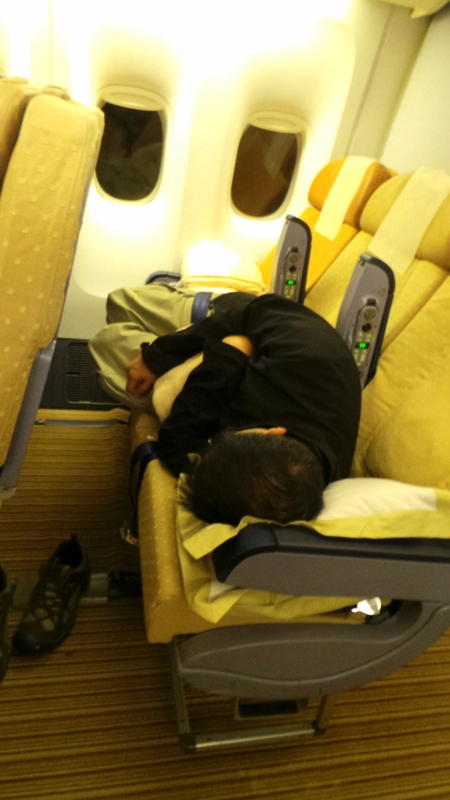 But thank you , Singapore Airlines for taking care of him/us! And so for the duration of the flight, Zombie slept while I also enjoyed the 3 seats to myself just next to him. Due to us moving seats and me having a special meal, the cabin crew who moved us immediately informed the rest of the team so during meal service, they delivered my meal straight to my new seat without any hiccups. Zombie told me that the last thing he wanted was to eat so I told the same cabin crew that he won’t be eating. Again this was advised throughout the team because not one of the crew asked him or me. They already knew. A very generous, full hot dinner. As Zombie was out of commission I cannot show you the regular meal. 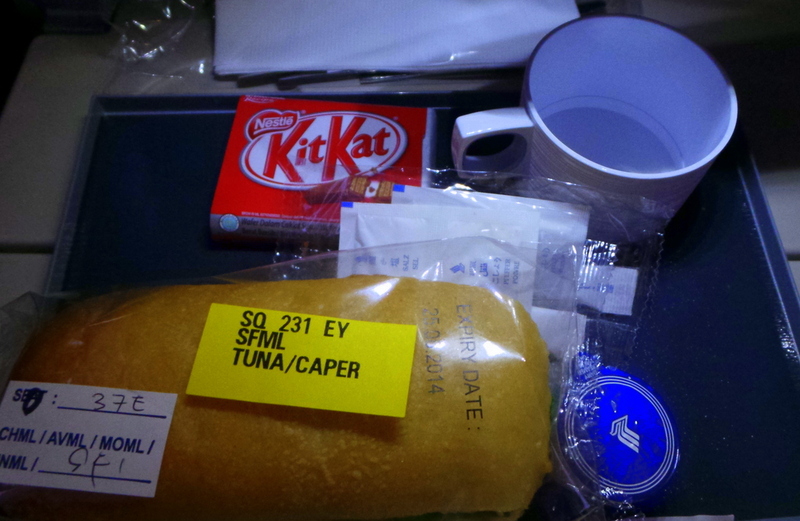 Seafood meal consisted of a tuna salad for entree, dinner roll, crackers, cheese and butter. The main meal was steamed prawns and vegetables in garlic sauce with pasta. This was really good, and as I already ate an early dinner at the airport, I ate just the prawns and vegetables. 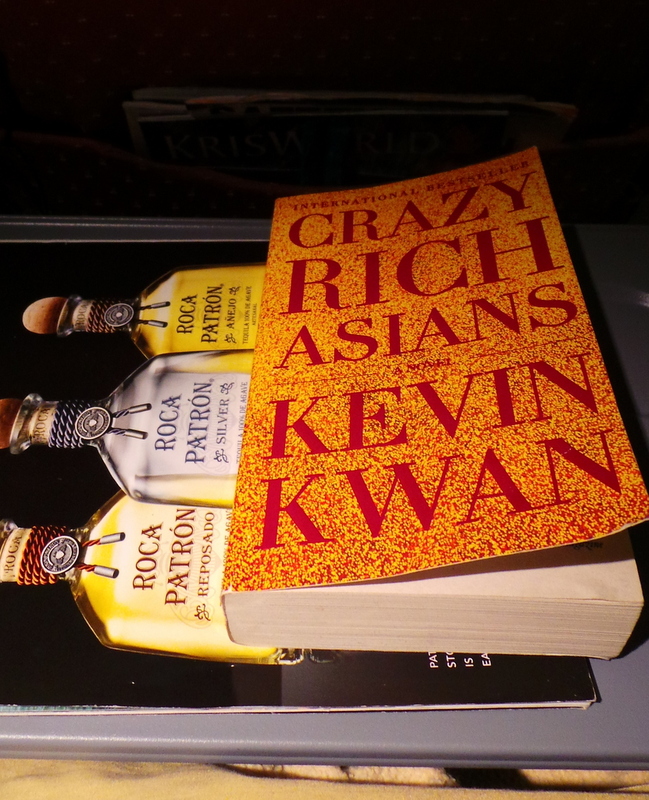 I was in the middle of reading this book that I picked up in Singapore (which by the way is highly entertaining. Initally annoying but has a nice moral lesson in the end), when I was tapped gently on the shoulder. Thank you so much, Audrey Chan, Chief Stewardess from Singapore Airlines! Audrey, thank you so much! You and your team have really shown genuine concern and care for both my husband and I on this trip. Guys, believe me the Singapore Girls of Singapore Airlines– they are more than just pretty faces! Update: Though still groggy, Zombie was feeling better after touchdown. 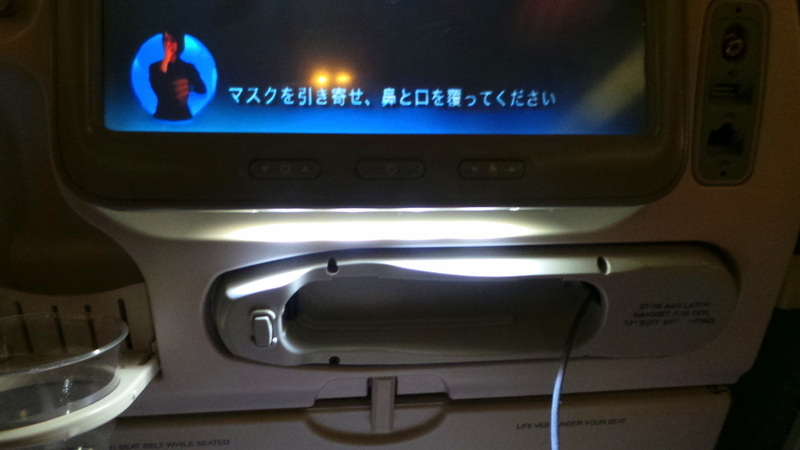 While the entire IFE (In flight entertainment) system seemed clunkier and older, I do like that it has a USB port! (the others didn’t) and that beneath the monitor is a light beam, which is handy for looking for little things you may have dropped in the floor or buried in the back seat pocket along the flight. 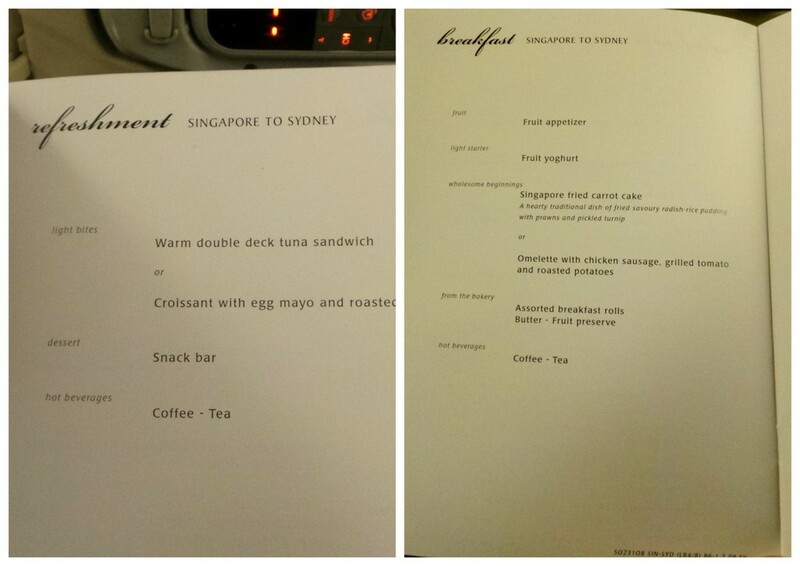 For a flight that’s 7 hours and 40 minutes, there are 2 meal services on this flight. Refreshments (or midnight snack) and breakfast. Zombie got the seafood option of the regular meal which is the double deck tuna sandwich, and for my seafood meal I received a tuna and caper sandwich. Initially it looked like one of those rock-hard plastic-y bread but it was really good! It was soft and the tuna pieces were really chunky which I like. And not dry at all. 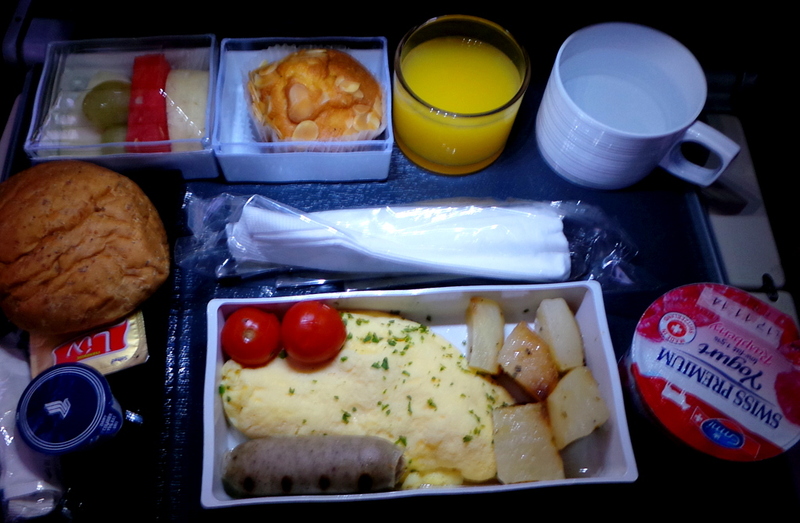 We both got the ‘eggy’ breakfasts – I loved my salmon omelette was the salmon were actual chunks and not meager flakes. For the regular breakfast meal (by this time you can tell Zombie was well on the mend as he’s eating) Zombie got the Omelette with chicken sausage and potatoes. Both breakfast trays were accompanies by tubs of yogurt, breadroll, fruit and muffin. This flight overall, was very quiet and uneventful. I guess this is the joy of travelling a red-eye flight. Everyone just wants to sleep! 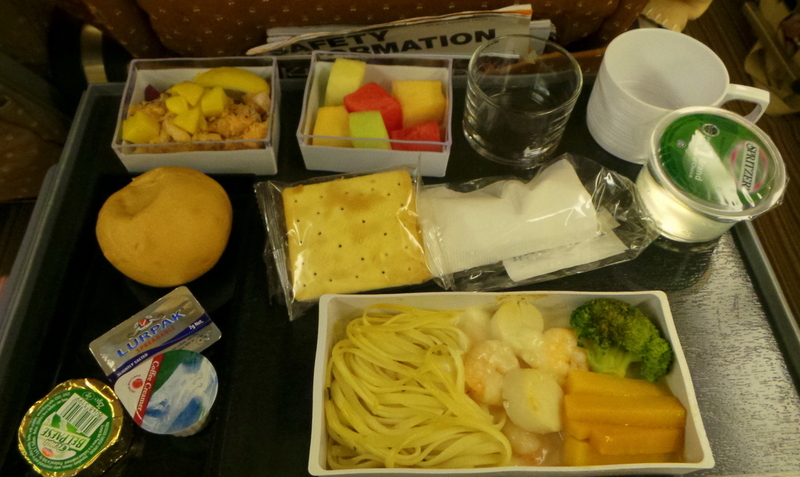 I’m so glad that I experienced first hand Singapore Airlines’ renowned world-class service. We flew economy but the service we received specifically from the crew of SQ 871 (Audrey Chan and her team) was premium class. 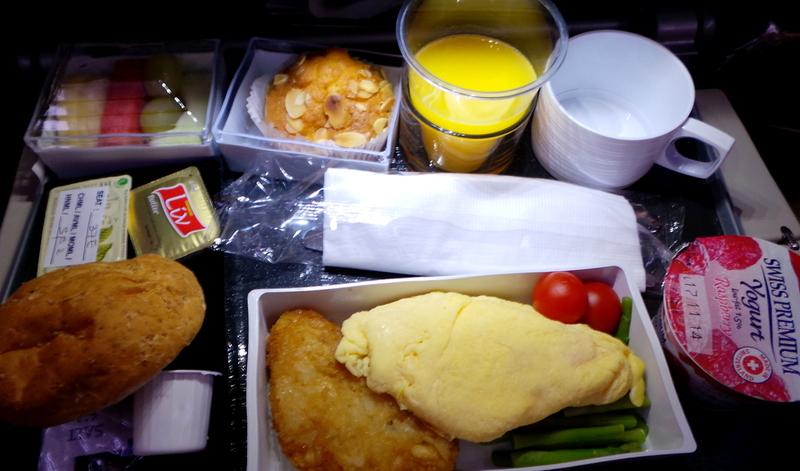 The meal service, even on shorter flights, are never just dry snacks or meals that will leave you wanting more. There is a reason why Singapore Airlines has a stellar reputation, and it is well-founded. When we arrived at Sydney airport we were greeted immediately by Blacklane limousines, which I’m so glad to have booked prior to our trip. Between my busted ankle and Zombie’s gastric pains, this was definitely a nice welcome home. Have you ever been sick on a flight? How did you deal with it? Hi Tony, thank you very much, glad you read till the end! 🙂 Yes, its a bugger having an upset stomach especially on a flight , but I suppose that’s better than missing on a wonderful day trip whilst you are still on vacation! Zombie (happy snapper) is well and good, he was back to happy snapper mode the same afternoon we landed 🙂 Thanks and safe travels to you and Laura! It’s so true isn’t it how long flights are made & broken by the cabin staff. Glad it all went so well considering the challenges. Great review too, thanks for sharing. Thanks Anna, yes that is so true! So glad too that we went through the flight as best as it could given the circumstances. Poor Zombie!!! I’m glad he’s ok. its terrible feeling sick when you have to fly and its lucky he was able to lay down properly. 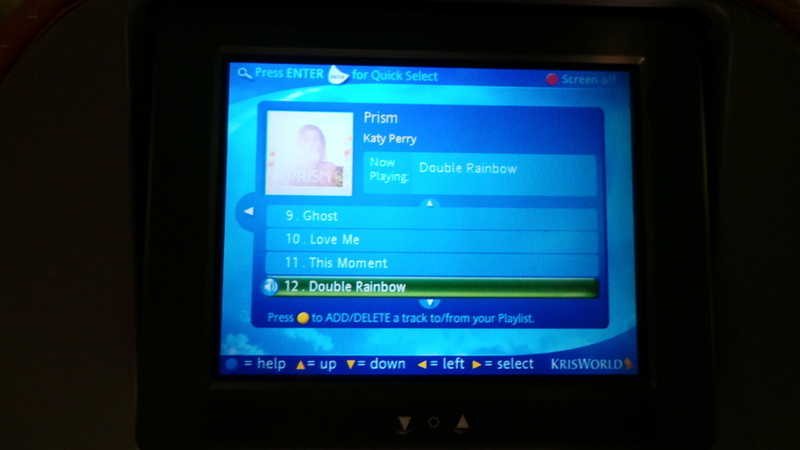 I absolutely love Singapore airlines! The service is very impressive! Can’t wait to fly with them soon! Thank you Sam! Yes, he’s ok now the spells are usually over in 24 hours. Yes very lucky for us that he was able to lie down otherwise it would have been excruciating for him. I can’t wait to see how you go with them, I’m sure nothing short of impressive! What brilliant service-nice and thoughtful. I was really sick on a flight-the woman next to me smelled so bad that I threw up my entire stomach contents (note to self: I can fit a lot in my tummy!). The Emirates flight was full but the FA was lovely about it and did what he could. I enjoyed reading your experience on SIA- they are hands down the best air line we have flown with. My husband flow on his own once with our then 4 year old from Sydney to Singapore on SIA, when on shortly before boarding our son had run off from hubby and ran into a luggage bay, promptly splitting open his eye area….Stewardesses all came forward for medical assistance (before the ambulance and police all came) and once our son’s eye had been taped up, they held the flight so they could still make it…once I had found out as I was at work, SIA rung the plane throughout the flight to up-date me of his condition…my son got special treatment on the flight and a visit from the pilot : ) Unfortunately we fly next week with another carrier, to which we know will not be the same flying experience- the attitude of all the SIA staff is always immaculate. Glad you also got to experience their service! I have to totally agree with you about how fantastic the service is on Singapore Airlines, the flight attendants go above and beyond! The staff on Singapore Airlines are amazing, I’m wishing I was able to afford to fly with them for my next flight to Italy but I’ve had to go with Etihad. Jean, so glad you had a wonderful experience with Audrey Chan. I couldn’t believe in my eyes when I read her name in your review, because she was the chief stewardess on my flight from JFK to Frankfurt. I was a lucky to have the entire suite class to myself during the flight, and boys, Audrey and her crews spoiled me rotten. You are absolutely correct! Singapore crews are the best I’ve ever experienced. I usually take their US-Europe flights. I’ve always thought there was something about the dynamic of the crew, and you’ve named it! It’s the aura! 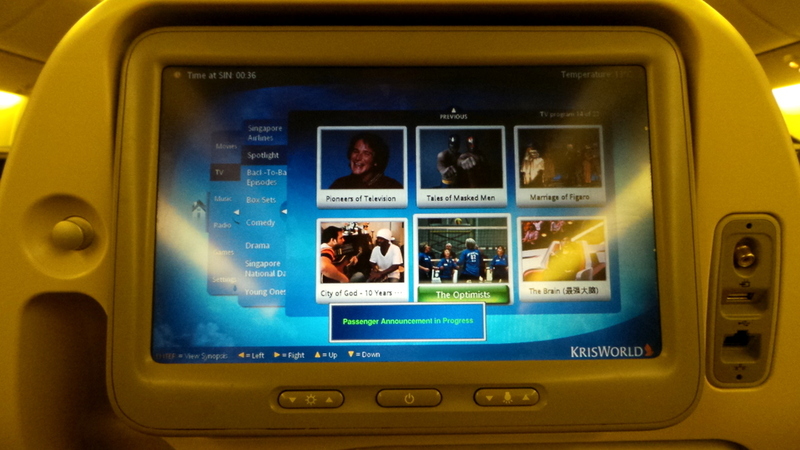 Can’t recommend Singapore Airlines enough! I was flying from London to NZ in 2012 and had a meal at the fancy seafood place before boarding. 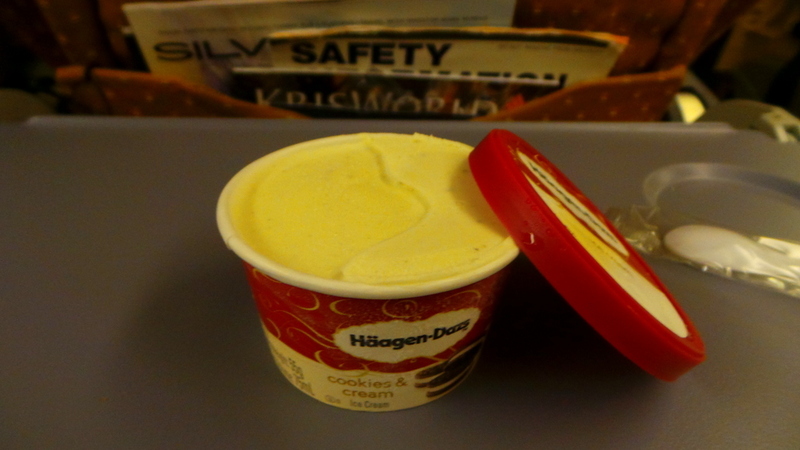 I had done before but this time…..not long into my flight I started feeling queezy and then before I knew what was happening got really sick and didn’t even have time to get the sick bag open. It was horrible but the staff were amazing. They helped get me sorted out and cleaned up and didn’t make too much of a fuss – just the right amount. They kept coming to check on me and brought me cups of a special herbal tea they said would help – and it seemed to do the trick to be honest! Couldn’t have really asked for more. Oh no, that sounded painful Caroline. And on a long-haul flight too! I’m so glad that the crew helped you immediately without making a fuss! It’s good they gave you herbal tea, they can be soothing for upset stomachs. Hi Jean, flew on sq before and yes have experienced almost the same kind of treatment. Im like your hubby, have very very bad gastric probs. For that particular flight I was vomiting all the way. The staffs came over and checked on me and even offered meds to help but I was pretty much allergic to anti vomiting meds, so can’t. Even when leaving the plane, the staffs made sure to asked again if I was feeling better. But then again said, ive experienced my share of flight with SQ which really disappointed much. Stewardess stood in the aisle blocking the way and pretty much didnt bother to help us with the loading of the cabin bags into the overhead (yup I know they are not required to). But I would have appreciated for her to stand out of the way so at least we could load it properly.. but the bag actually dropped out of the overhead and the crew just let it dropped and exclaimed loudly “ouch”. Was actually quite taken aback. Then inflight wasnt working and checked with this stewardess to help but no help rendered. At this point of time, my aunt who was travelling with me was really really pissed off at the attitude of this stewardess. Being in the airline industry as well, my aunty knows its not easy to be in this service industry but the attitude and service of this stewardess was really bad. Anyway luckily the chief steward kinda saw what was happening and tried to resolve the situation. Offered to change seat for my aunty which she declined. He kinda upgraded her meal and also gave her flight vouchers and also some sq souvenirs and also kept coming back to her to check on her during the flight and also to apologise on behalf of the stewardess. Its really impt to have crews who make your journey worthwhile! Hi Tracy, thanks so much for sharing your experience. It’s tough having that stomach bug , you just don’t know what can trigger it! But I’m glad the staff took great care of you. As for the second situation– wow that was terrible customer service. Unfortunately customer service depends on every individual crew so every experience is different. I’m glad that the cabin manager was able to ‘undo’ the negative service you received.At the end of the day being humans and working in customer service is very tough – a lot of factors involved : personalities, being in the job for the wrong reasons, having a bad day/tough patch in life etc,– and so I really admire those who stand above and beyond their duty. 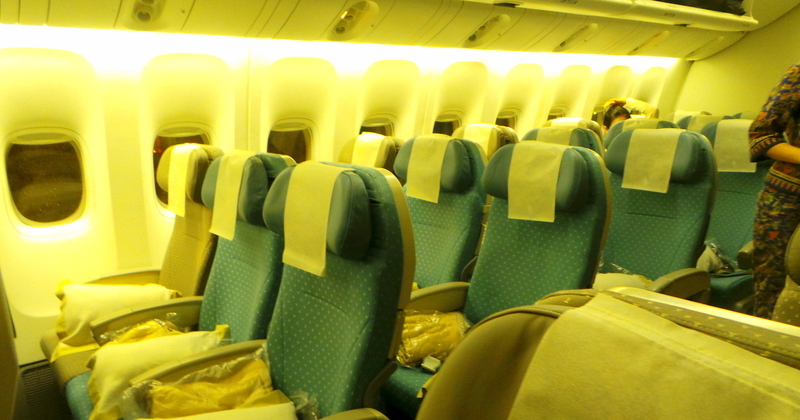 The B777-300ER is the newer plane. The 10.1″ IFE with USB is the latest. You get all channels and can scrub to any part of the movie any time. Thank you Keefe, I have made a post note on the article. The USB should have been a giveaway for me to know it was a later model! Yes, Singapore Airlines was quite an experience to fly with for me too. 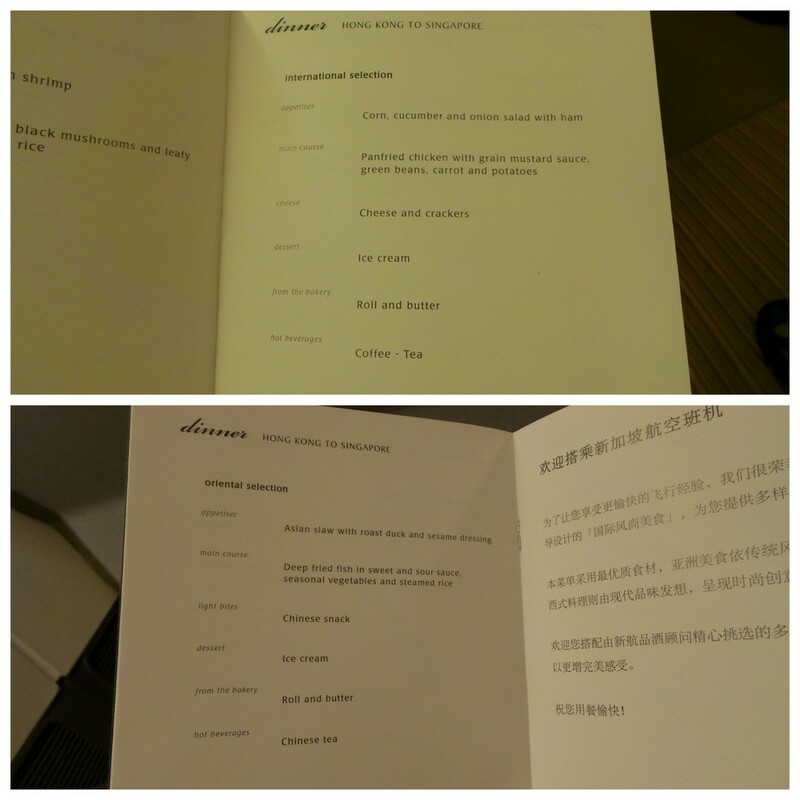 Those menure are great, so far I’ve never been with any other airline that has menus.